Stale Gum: The 2008 Topps Drinking Game. The 2008 Topps Drinking Game. 2K8 Topps dropped today, and yes, There Will Be Blood Milkshakes Gimmicks. More airbrushing! More parallels! And this year's version of "Generation Now!" It's the first Topps baseball set of the Michael Eisner era! Can't you just feel the excitement? No? OK then. Here's a little game I came up with. Some of you may be familiar with "Hi Bob!" It's a game in which you watch an old episode of "The Bob Newhart Show," and for each time someone on the show says "Hi!" to Bob, you drink. Well, welcome to "Hi, Topps!" the 2008 Topps drinking game. One (1) unopened waxbox of 2008 Topps Baseball. Hobby is preferred, but HTA or Blasters will do. 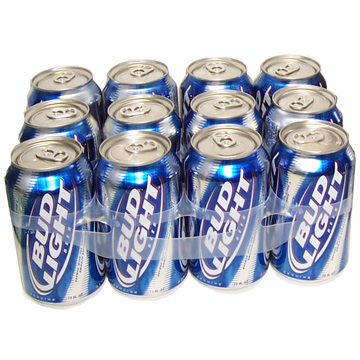 One (1) twelve-pack of beer. The higher the ABV, the better. Open each individual pack, until you're finished with the whole box. 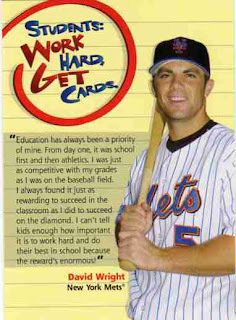 TAKE ONE SIP -- for each David Wright "TOPPS OF THE CLASS" or "ROOKIE CUP" promo card. TAKE ANOTHER SIP -- for each overtly airbrushed card. TAKE TWO SIPS -- for each meaningless "gold foil" parallel pulled. TAKE ANOTHER SIP -- for any other parallels. DRINK ONE BOTTLE/CAN -- for each similarly meaningless Mickey Mantle Home Run History mirror pulled. DRINK TWO BOTTLES/CANS -- for each mind numbingly stupid Year in Review (a.k.a. "Generation Now" version 2.0) mirror card. DRINK THE REMAINDER OF THE 12-PACK -- if you pull the Giuliani/Red Sox card. Alcohol poisoning is a terrible thing. We have enough trouble seeing the gold foil parallel now. You want us to add alcohol on top of that? And now, a Public Service Announcement. The Curious Case of Kazuo Uzuki. The greatest insert set ever!